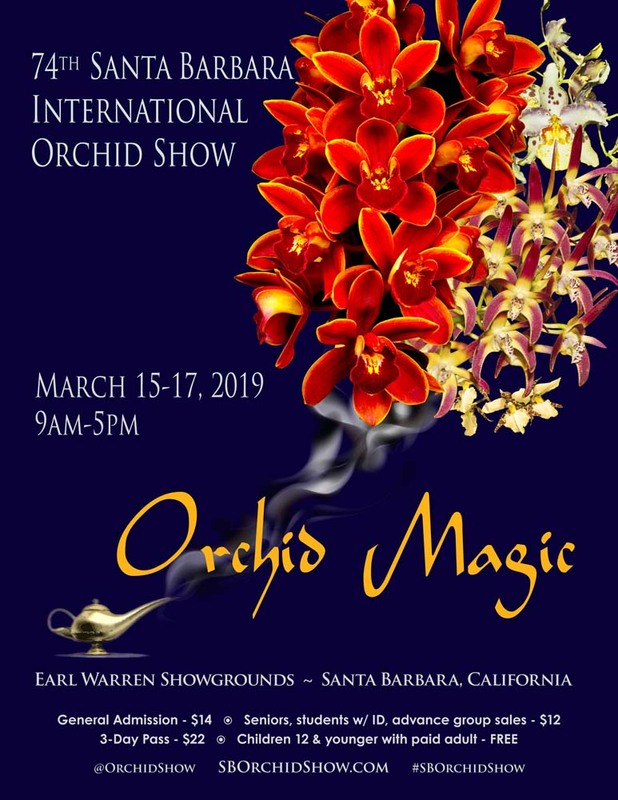 The 74th Santa Barbara International Orchid Show (www.SBOrchidShow.com) will be held on March 15-17, 2019, at Earl Warren Showgrounds in beautiful Santa Barbara, California. Thousands of blooms in every imaginable shape, color, pattern and texture, will be showcased at the show, one of the country’s largest and oldest celebrations of orchids. The 74th Santa Barbara International Orchid Show will be open 9am to 5pm for three days, March 15-17, 2019, at Earl Warren Showgrounds, located in Santa Barbara at Highway 101 and Las Positas Road. General admission is $14; seniors, students with ID and advance group sales (minimum 25) are $12; and children 12 and under are free with an adult.